1. Make your group all about you. When you first looked for a small group, you may have done so in the same way you shopped for a new car or a new refrigerator. You looked for features you wanted, features like the right people, the right location, the right day or time, and the right kind of study or ministry, just to name of few. The problem with this consumer-driven approach is that it puts you at the center, where you do not belong. A healthy group keeps Christ and Christ only at the center. A healthy group is all about him, gathering in his presence, under his power, and for his purposes … not yours. Click here for more about keeping Christ at the center. 2. Make it all about your group. A second thing many group members do that screw up their groups is they focus only on one another. Yes, the New Testament is clear that we are to bear one another burdens, build each other up, instruct one another, pray for each other, and much, much more, but these things are only a means to the end of God’s mission for us: to make disciples of all nations. I’ve often described a healthy group as a football huddle. We do need to get on the same page and encourage one another when we gather in our huddles, but we do so in order to break out of that huddle to run the plays to win the game. No game was ever won inside the huddle. I’ve seen many groups fall into ruin by never breaking the huddle. Click here to read more on getting out of the huddle to carry out your mission. 3. Make it all about study. Healthy small groups dig into God’s Word with an eye to apply it to their everyday lives. Because “knowledge puffs up, but love builds up” (1 Corinthians 8:1). A healthy group will wrestle with God’s Word together, discussing the rock-solid truth of the Scriptures as well as the ups and downs of real life, and then wrestle with how they can better live according to God’s design. 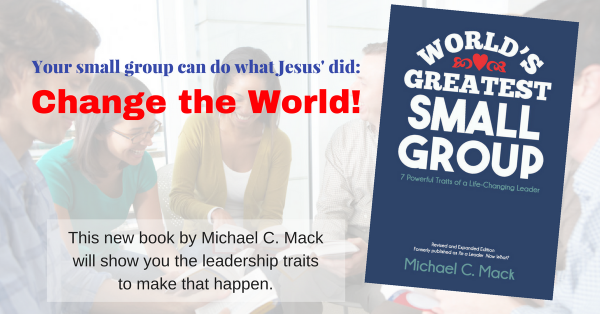 Click here to read more about how to make your group a transformational discipleship environment. 4. Be a spectator, not a participant. This one is tied very closely to #1, because often spectators make the group all about them. But sometimes a group member simply wants to observe and not put skin in the game. People have all kinds of reasons to take this position: safety, fear, pride, or others. But for whatever reason they choose to stay uninvolved, this lack of commitment can destroy a group. Another reason true involvement stays low in some groups is a solo leader who tries to do everything. The best groups share ownership. Everyone has a role and a stake in the group. See a list of 16 possible roles in a group. Click here to see more about how to share ownership with everyone. 5. Fly by the seat of your collective pants. I’ve seen many small groups crash and burn simply because they had no goals or plans for the future.For many groups, the longest range plans they have is who will bring cookies next week. You will ruin your group if you do not have some goals and make some plans together. But if you talk about where you want to go–better yet, where God wants you to go together–and if you write these goals and plans down in the form of a covenant or agreement of some sort (see an example on this page), your group will flourish. This is a key to health in a small group. Click here to read more about being proactive rather than reactive as a group. One of the roots of each of these surefire ways to screw up your group is a lack of real commitment … or a lack of commitment to the right things. If you don’t want to screw up your group but rather be a part of making it healthy, fruit-bearing, and successful, make a personal and group commitment to Christ, others, mutual discipleship, ownership, and the group’s goals and plans.